Pinene consists of two isomers, alpha and beta, depending on the position of the double bond within the molecule. It is an alkene and contains a highly reactive four membered ring perpendicular to the main ring, prone to skeletal rearrangements. Both the – and + enantiomers are seen in nature. – alpha pinene is mostly seen in European pines, and + alpha pinene mostly in North American pines. The racemic mixture is seen in eucalyptus and citrus oils. Pinene is used in nature with the ozone to condense aerosols that could harm the environment. Flammable liquid and vapor. Store in a well-ventilated place. Keep cool. Store locked up. Keep away from heat / sparks / open flames / hot surfaces. No smoking. Keep container tightly closed. Ground / bond container and receiving equipment. Use explosion-proof electrical / ventilating / lighting / equipment. Use only non-sparking tools. Take precautionary measures against static discharge. In case of fire: Use dry sand, dry chemical or alcohol-resistant foam for extinction. May be fatal if swallowed and enters airways. Causes skin irritation and may cause an allergic skin reaction. Avoid breathing dust / fume / gas / mist / vapours / spray. Wash skin thoroughly after handling. Contaminated work clothing should not be allowed out of the workplace. Avoid release to the environment. Wear protective gloves / eye protection / face protection. IF SWALLOWED: Immediately call a POISON CENTER or doctor / physician. IF ON SKIN (or hair): Remove / Take off immediately all contaminated clothing. Rinse skin with water / shower. Do NOT induce vomiting. If skin irritation or rash occurs: Get medical advice / attention. Take off contaminated clothing and wash before reuse. Harmful to aquatic life. Dispose of contents / container to an approved waste disposal plant. 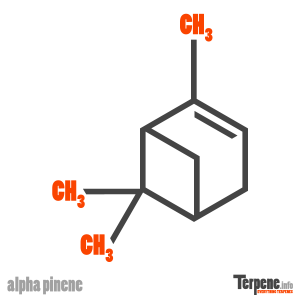 Read through our forum on Alpha Pinene below, or start your own topic. This forum contains 907 topics and 5 replies, and was last updated by Chainia 8 hours, 16 minutes ago.